What differentiates them from other gel-gloves, is its Venum Gel Shock System that delivers superior hand protection and its broadband system ensures a perfect fit of the wrist. 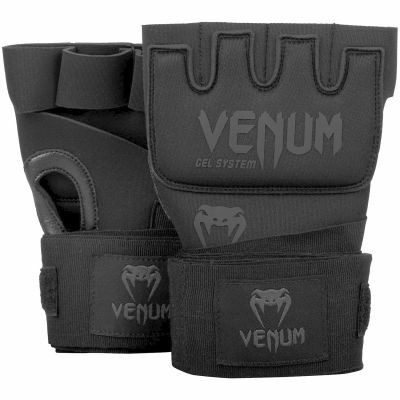 Note that the Venum Kontact Gel gloves wraps can also be used only on light exercises such as working on speed bag or grappling. Neoprene 70% - 15% Polyester 10% Gel rubber 5% synthetic leather. Venum Gel Shock System technology for perfect shock absorption.